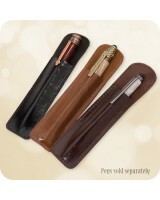 Nice pen cases and protective pen pouches, single pen pouch, leather pen holder and leather pen pouches! For your fine writing instruments! 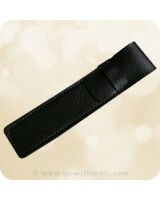 These genuine black leather sleeves fits most regular pens up to ..
For your fine writing instruments! 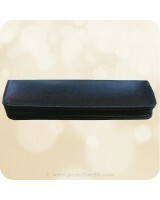 This is a beautiful black zippered pen case that fits most sized .. These genuine leather pen pouches are the ideal economical solution for elegant protective storage f..
For your fine writing instruments! 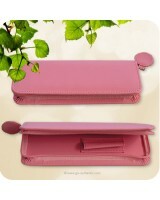 This is a beautiful pink zippered leatherette pen case that fits .. 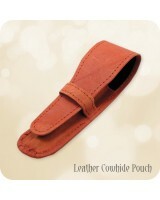 These genuine leather pen pouches fit most regular pens up to 9/16" (14 mm) in diameter. ..